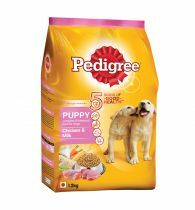 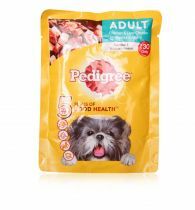 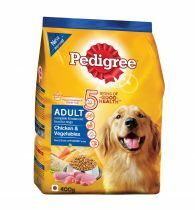 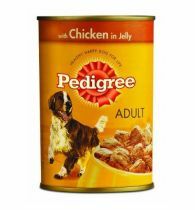 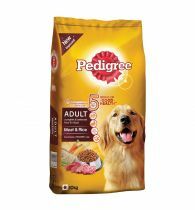 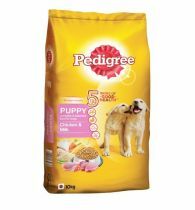 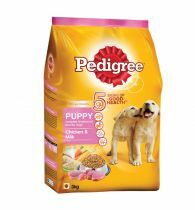 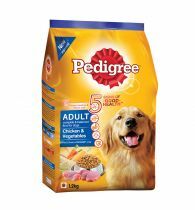 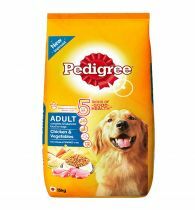 PEDIGREE Chicken &Vegetables is a healthy and complete meal for your adult dog, packed with proteins (from chicken) & vitamins (from vegetables). 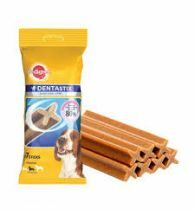 Specially-shaped crunchy bits help keep his teeth in top condition (for all those games and tug-of-war! 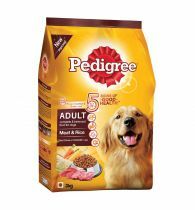 ), whole grains & naturally-sourced prebiotic fibers help keep his insides healthy and Omega 6 & vitamin E help keep him looking and feeling his best (no matter how often he rolls around in the mud!). 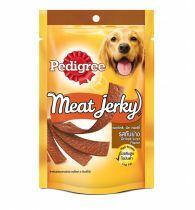 High-quality meat proteins help give him the energy he needs to enjoy a good game of fetch with his favourite ball.